The launch of a video feature on Facebook known as Watch is being seen as an attempt by the social media giant to take a stab at Google’s video-sharing website, YouTube. At the moment the new Facebook feature is available to a select number of users in the United States. This comes at a time when consumption of mobile video has greatly increased in recent times and it is estimated that by 2021 about 82% of all traffic on the internet will be video. Last year video consisted of 51% of all internet traffic. While Facebook already had a Video tab the Watch feature will have video content structured like shows that embody certain storylines or themes. The watch lists of users will be personalized based on preferences and likes as well as based on what their friends or communities are consuming. It will also be possible for users to view comments and engage in discussions, connect with friends as well as with other viewers. Users will also be able to join Facebook groups that are devoted to particular shows. With the new feature Facebook intends to develop a social experience built around watching views in order to better engage with its users. Publishers will also use ‘Watch’ to find audiences for their shows as well as building those audiences into dedicated user bases. The difference between Facebook Watch and YouTube is that on the social media platform users are being targeted with personalized recommendations. This is based on the viewing history of their network and this could prove to be useful in converting those users into a powerful video audience. One of the advantages that Facebook Watch has over YouTube is the fact that on the latter it is possible to interact with online social networks which would greatly increase the engagement levels. While YouTube already has over one billion users who visit the platform every month the new feature on Facebook could help make the social media platform the go-to site for video in the future given that it has way more users. 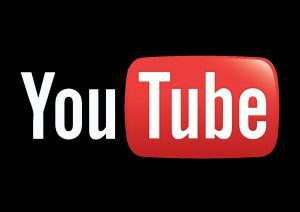 In this regard YouTube’s weakness is that it a video-only platform and users only visit it when they want to watch a video. But on Facebook users will be exposed to video through their networks even when that was not their initial intention. They will also be more likely to share or comment on a video as a way of engaging with their friends.